The EUR/USD pair has completed a correction move. 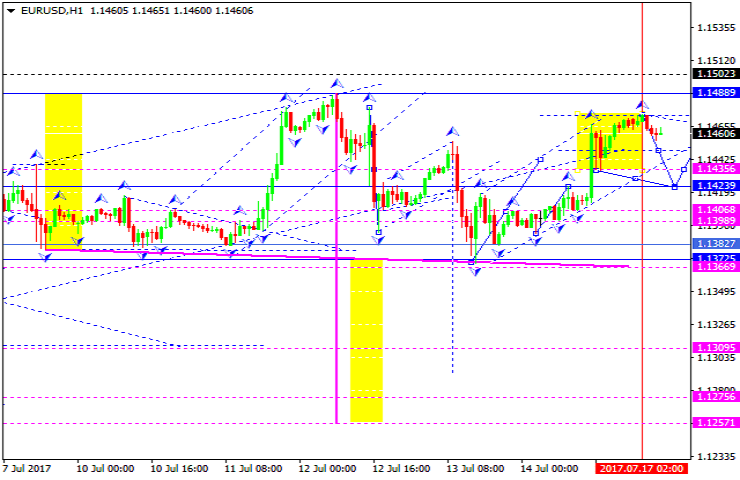 For today we'd expect a consolidation range to be developed and the pair to move towards 1.1435. If this range is broken through downwards, we'd look into a third wave to be developed towards 1.1372. And this will be seen as a half of the wave only. 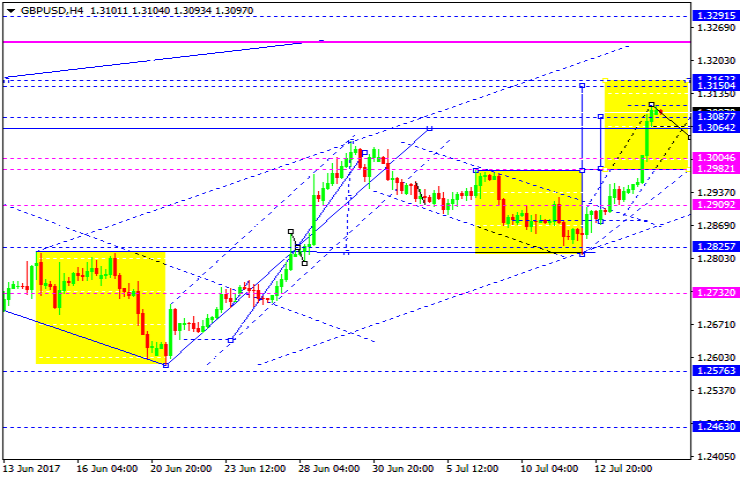 After a yet another consolidation phase is completed, the pair can move lower towards 1.1275. The target is the same as previously calculated. The GBP/USD pair has almost achieved its target for the ascending wave. Another move for the pair is development of a consolidation range with a reversal pattern. The price can hit new highs while forming the range. We can also see an elongation of the chart towards 1.3250. However, we see start of a downward move along the trend as the main scenario. The first calculated target is on 1.2825 level. The USD/CHF pair has completed its descending wave. For today we'd be expeting the ascending move to keep going to raise the pair towards 0.9681. 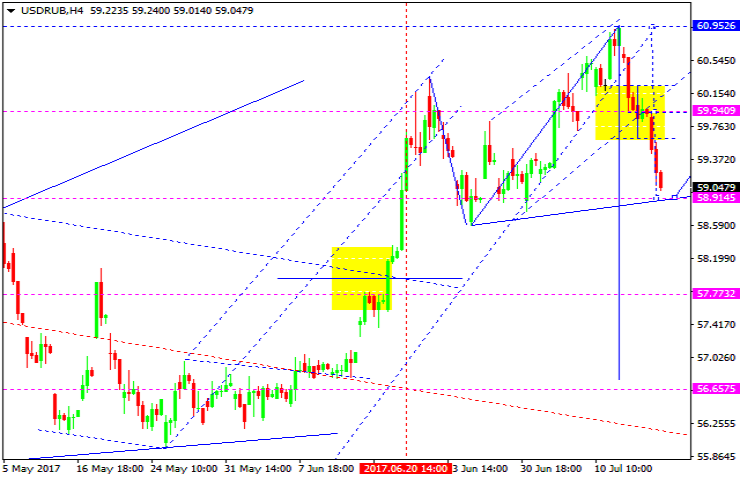 Then a correction move towards 0.9650 can be expected. After that, the pair can move higher to hit 0.9710. 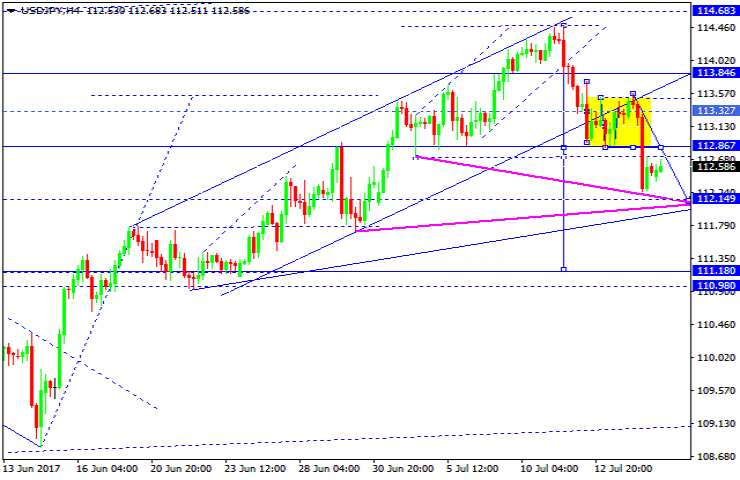 The USD/JPY pair has broken a yet another consolidation range from top downward. In our opinion, the level 112.15 can be achieved as a result of the next move. Then the price can be corrected and hit 113.30. After that, the 3rd descending wave can occur to hit 110.90 level. 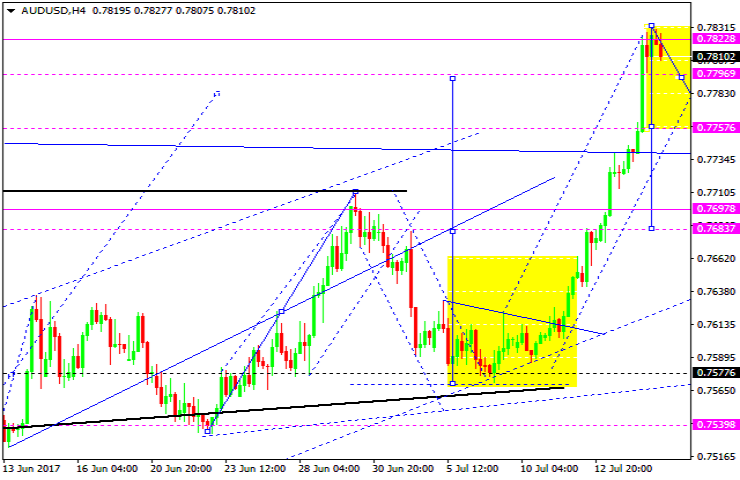 The AUD/USD pair has worked out its ascending wave's target. Currently, the price is moving within a consolidation range. For today we'd expect a possible breakthrough downwards to hit 0.7755. Then the price can be corrected and hit 0.7795. 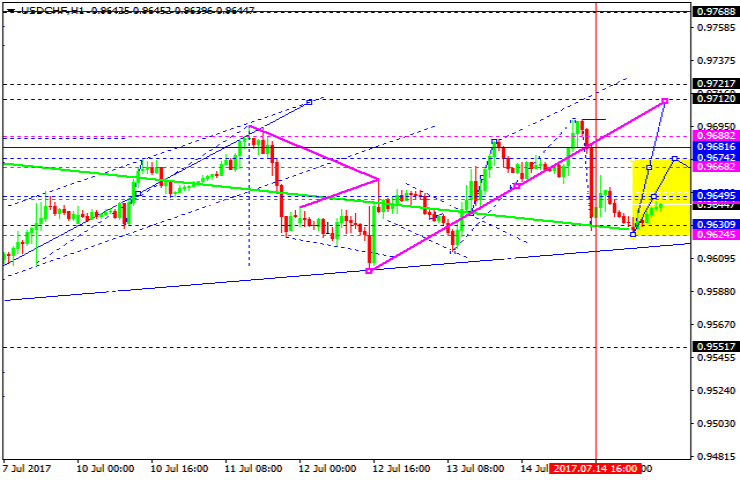 After that, the downtrend can continue and price can hit 0.7500 level. The USD/RUB pair - for today we'd expect the pair to work out it target at 58.91 level. Then the pair can rise towards 59.95. After that the pair can develop a 3rd component to lower the price to 55.50. The level 56.65 serves as a local target. 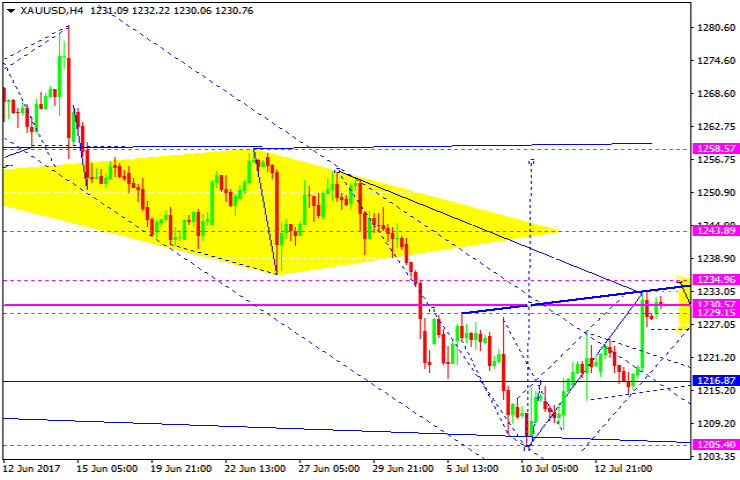 Gold has worked out its ascending wave's target. For today, we'd expect a consolidation range to be developed around the 1230 mark. If the pair breaks through this range from top downwards, a correction move can occur which may lower the price to 1217. If the range is broken from the bottom upwards, the pair can rise to 1244. The target is a local one. Oil has worked out its upwards wave's target. For today we'd consider a consolidation range to be developed. 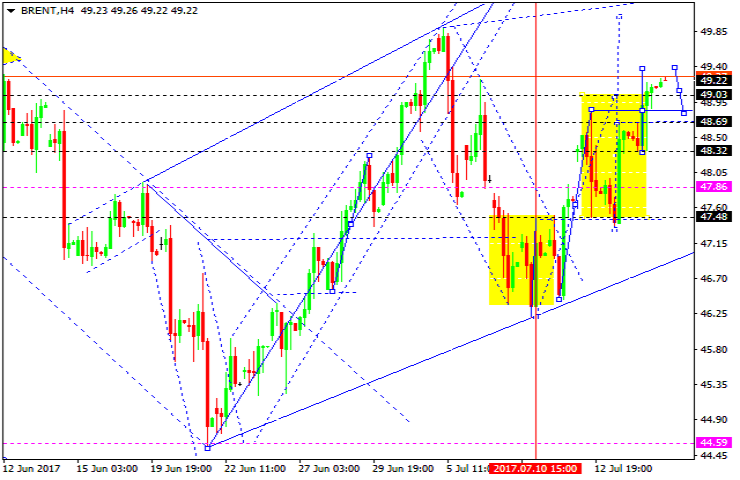 If the price breaks through this range from top downwards, a correction move towards 47.50 can occur. If the upper edge of this range is broken through, the pair can gain power to work out 50.20 level.